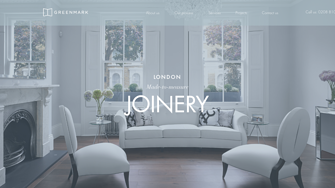 GreenMark Joinery is an experienced manufacturer of bespoke joinery in London. Our company has made a name by designing and developing the best bespoke furniture of top quality at competitive prices: - fitted wardrobes; - storage spaces; - bespoke furniture; - doors; - windows; - bathrooms; - kitchens; - outdoor designs, etc. Our wide range is always made to measure and includes beautiful and functional joinery that are available in a variety of styles and finishes. Our team is our great advantage as only experienced, reliable and friendly carpentry specialists work in our joinery company. We are proud to provide the highest standard of work and excellent service. So do not hesitate to contact us to get a free quote for your projects!